Save your beachy waves and messy updos for another time. This season, a more “done” approach to hair is trending. 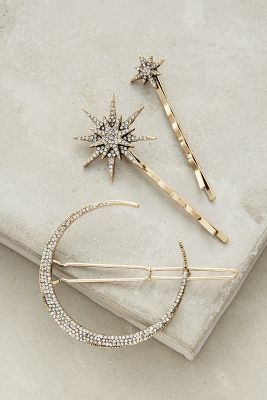 Embrace polished ponytails and updos and accessorize with a beautiful barrette or hairpin. Right now, I’m loving the Stellar Hair Set ($48) with 3 gold and glimmery options.